Facebook has been a buzz about potty training lately...seems lots of my friends are in the midst of toilet training just like we are. I don't want to be rude or tell people they're doing it wrong but I've learned A LOT from this incredible book called Toilet Training without Tantrums. It turns out lots of the information that we as parents are given today is not exactly correct...or should I say the best way to do things. We've read some of Dr. Rosemond's other books and have learned so much from him and while most of it is common sense stuff it's also probably looked at as outdated and people think his tactics won't work. But we have been so happy with the results we've gotten from our children using some of the discipline measures that he outlines in his book The Well Behaved Child. We figured that if we liked that book so much we would probably like how he views potty training and how he gets it to work for kids...and parents, without tantrums. So, I think you should buy the book because he gives lots of great examples, explains things well, and how to deal with certain issues, but I'll give you a run-down of how it works. First of all he talks about how kids really should be trained between 18 and 24 months for the best success rate. Best meaning quickest (and cheapest since you won't have to buy diapers anymore). He talks about how toilet training should just be a matter of fact thing in your home. You don't read books about how to teach your child to use a spoon, you don't watch videos, read books to your kids about using a spoon, you just give them a spoon and eventually they learn how to use it. Using the toilet is in the same category. 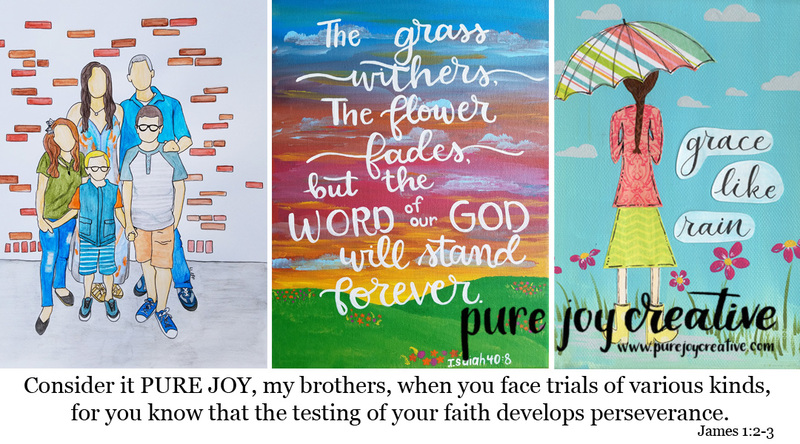 We are under the influence of many different psychologists who have put "readiness" signals in our minds and who probably work for pampers and get a portion of the sales (ha! ), making us wait till the kids are "ready". Well, Dr. Rosemond has a thing or two to say about that and I totally agree with him and feel that we've been "brainwashed" as a society as to the proper time for toilet training kids and waiting till they are ready. Once that is all out of the way and you see how Dr. Rosemond suggests you do the toilet training it all makes so much sense. In fact while reading the book I felt bad that we had waited so long to actually attempt to toilet train Micah. He's a smart kid, did I think he wouldn't get it? Well, not really, but I hadn't been taught how to actually do it in order to get results...and I was waiting for the "ready signals". We've had pretty good success with Micah so far using Dr. Rosemond's suggestions, Micah is not 100% toilet trained but I'm impressed with him so far! We started with Micah last Wednesday morning (Feb. 9th). Cold turkey. No more diapers. We put a small toilet in the kitchen (since he plays there lots) and put a small toilet seat on the big toilet in the kids bathroom (with a step stool). The point is ... accessibility. Putting toilets where the kid plays. If you have a two story house you need more small toilets. Dr. Rosemond suggests one toilet for every major room that the child plays in. We have a one level house with two bathrooms so we figured we only needed one extra toilet. In fact Micah never even used the small toilet but preferred to use the big one. He also talks about a small toilet for the car for when you have to run errands or go places. Dr. Rosemond calls his strategy naked and $75 or N75. It is best to start the toilet training during a week when you don't need to go anywhere. Then leave the child naked from the waist down (or a thin pair of underwear for boys) for the first week of toilet training (or longer if necessary). (Boys need the underwear because they need to feel the pee run down their legs and without it the pee would just shoot out in front of them.) So, you just leave the kids naked, and let them play, do their thing whatever. His approach is hands off for parents. We explained everything to Micah on Wednesday, "here's your potty, where does your pee go?" "in the potty" "where does your poop go?" "in the potty"...etc. We told Micah that whenever he needed to go he could just go and use the potty...that's why it's important to have toilets accessible. Now, Dr. Rosemond does say to expect accidents (that's where the $75 comes in), he says that kids will have accidents and that we shouldn't freak out about it, give it too much attention, etc. but use that time to teach about where our pee goes. The $75 is to get your carpet cleaned once you're done toilet training. He talks about how important it is to not hover when they are on the toilet, to let them do it themselves...again, do you hold the spoon for your child all the way to their mouth when they are learning to do it themselves? Micah peed on the floor four times the first day (only once on the carpet) and pooped in his underwear two times (which didn't make any mess on the floor). But on the second day he only pooped in his underwear and made it to the toilet for all his peeing. He's still doing that one week later. He stays dry after nap time but wakes up wet after bedtime (but it's getting a little better every day). He actually woke my mom up at 4:10am the other morning to use the toilet. He still will not poop in the toilet but we're not pressuring him just making sure he knows where his poop belongs and having him help clean it up. The other thing that Dr. Rosemond says it to not over praise the kid. Just tell them matter of factly "good job, you know where your pee goes, you're growing up so fast" etc. This makes sense to me also and it all goes back to the spoon analogy, it's something they just need to do so we don't need to make a huge deal out of it. They'll get it, if we just give them a chance. He also says, sticker charts, food rewards and things like that are not necessary. He suggests that for some kids it might work best to set a timer for 60-90 minutes and put your kid on the potty at those intervals, to call it the "potty bell". Once the 60 minutes passes take the kid to the toilet, get them to sit and if nothing happens no big deal just re-start the timer. We tried this with Micah the first day and he didn't really like it and we noticed that he was telling us when he had to go so we didn't keep it up past the second day. 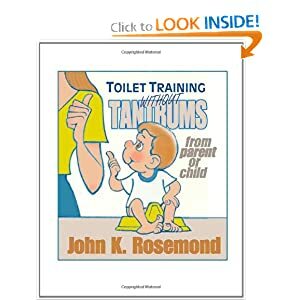 Okay, I've gone on long enough for the time being...if you want to know more I suggest you read the book (it's a quick read), it'll get you motivated to make the toilet training happen. Don't give up. Don't stress out. It'll happen. I am willing to share more (especially what he says about night time training) but for now that's probably enough to chew on. Let me know if you have any questions. Again, I'm not an expert and I'm not saying that anyone is doing it wrong if they are doing it differently. I'm just saying that I agree with Dr. Rosemond's approach and I have a little almost three year old success story here to prove that it works. I totally agree with all of this. I have potty trained 2 little boys this past year and the 2nd one was trained in a week. I didn't pressure him to go, I just told him that his underwear were to stay dry and he was to go in the potty, of course he had accidents but he caught on very fast! He had one accident at the park and we had to leave and he was so upset that we had to leave that after that he didn't have anymore accidents! I think each kid may be different, the first little boy did well with the timer, the second one did better without the timer (he was getting very upset and hated going to the bathroom.. screaming and crying and wanted to keep wearing diapers) my mom had said to me that she thought he was getting upset because I was taking up too much of his play time... that's when I left it up to him to tell me when he had to go but he was to go in the toilet and not in his pants. The difference was like night and day! But great post! It is a matter of a fact thing and shouldn't be a major deal. Update: Micah pooped on the little potty this evening. The little guy stood up,turned around, and said, "it looks like a snake!"